Ole Red to Host Spotify #CMAFest Week Concerts Featuring Lauren Alaina, Hunter Hayes, Midland, and More! 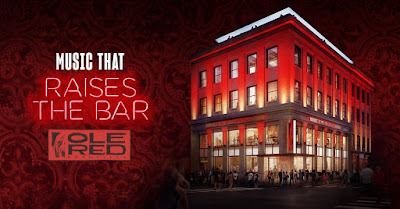 Ole Red will host Spotify Performances by Lauren Alaina, Hunter Hayes, Michael Ray, Midland, Maddie & Tae, Tenille Townes, RaeLynn, Mitchell Tenpenny, Jimmie Allen, Cassadee Pope, and more. Shows will start on Thursday June 7th and continue throughout CMA Fest. Specific times to be announced. No details on attending these shows has been announced at this time.